What it’s like to spend 60 minutes with a friend. I have an old-man friend, a “College Station Grandpa,” if you will. Doyle is a Texas A&M graduate (Class of ’42) and is one of my favorite people on the planet. He watched me grow up because our families shared the same hunting lease for more than 20 years of my life. It’s important to mention that I adored his wife, Tillie, and she truly molded many of my childhood memories–cooking breakfast, playing cards, and taking long walks on the ranch. When I was in college, I visited Doyle and Tillie as often as I could. Since I’ve returned to College Station, Tillie has passed on and I try to visit Doyle at least once a month. When Doyle was a student at Texas A&M, he worked at the Dairy. Additionally, he served our country in World War II. He worked for Texas A&M Extension for most of his life and has the very best stories. I always smile after he says this because I know it means at least ten more minutes. Today, Doyle lives in College Station at a very nice retirement home. I visit Doyle on Tuesdays because, after dinner, we play “Ninety-Nine” with his friends. I won’t waste words here explaining it–just click the link to learn), but I will tell you that it’s so much fun and kind of hard to keep up with his 80 and 90 year-old friends. Fortunately, I got lucky last time we played and won quite a bit. Don’t worry–we only play with nickels, so I’m not cheating anyone out of their retirement. After playing Ninety-Nine, Doyle and I always go back to his apartment and talk about life for a few hours. And by “talk about life” I mean, he tells me wonderful stories and teaches me more about life than many ever have. A full life is spent doing what you love with the people who make you happy. There are no hand-outs in life–and there shouldn’t be. Work hard, always. Kindness is an invaluable quality. I know our talks won’t last forever–he even jokes about it…he can be kind of morbid like that, but he’s had such a full life that he’s able to laugh about it. But until that time comes (which I hope is far, far away), I will still spend my Tuesdays with Doyle and his friends–beating them in Ninety-Nine and soaking up every moment with my dearest, old-man friend. Whenever I have a great interaction with someone (usually someone I just met) for 60 minutes or longer, I love writing about them in my blog. 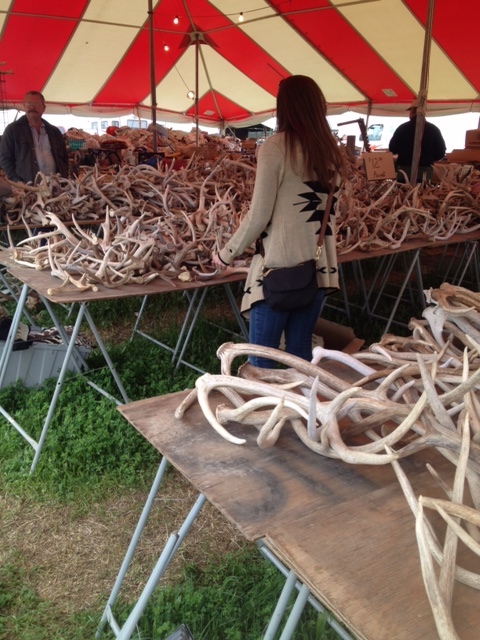 This week’s 60 minutes happened this weekend when I headed to Warrenton/Roundtop for Antiques Week. I had such a great trip to Warrenton in the fall and I couldn’t wait until my next opportunity to go junkin’. So this past weekend, I set out with cash in hand and a partner in crime. Enter: Kelly from California. Kelly works in my office and, outside of work, we hadn’t spent much time together. However, I asked her to join me in the off-chance she may say “yes.” Little did I know, she is an antiques goddess and couldn’t wait to join me on an adventure. Kelly is a beautiful soul. She graduated from undergrad in California and traveled to Texas in search of a Southern lifestyle, an MBA from one of the top programs in the nation, and to marry a cowboy. Yes, on top of ruling the world and making it on the front cover of Forbes, all she wants is to marry a cowboy. On our 60 minute drive to Warrenton/Roundtop, we were able to discuss our shared love for country music, shopping, and good food. It turns out, Kelly and I are extremely similar. She traveled to Texas, sight un-seen for graduate school; I did the same in Virginia. She’s a strong independent woman, paving her own way; I’d like to think I am, too. She wants to marry a southern gentleman/cowboy and own a ranch with a wrap-around porch; Ummm helllo!?!? Me toooooooo. DID WE JUST BECOME BEST FRIENDS?!? Anyways, we arrived to Warrenton ready to junk. It took approximately 10 minutes to make our first purchase. Literally. I knew I was in trouble. Anyways, we walked away with our fair share of junk. 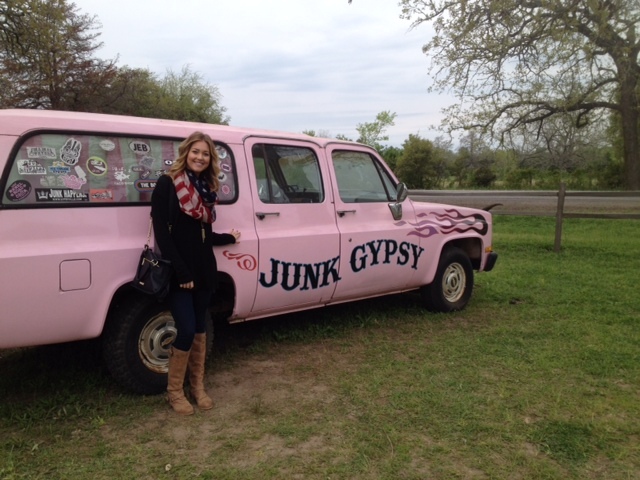 BUT we couldn’t leave until I took her to the Junk Gypsy headquarters. Or until she properly frolicked through wildflowers. 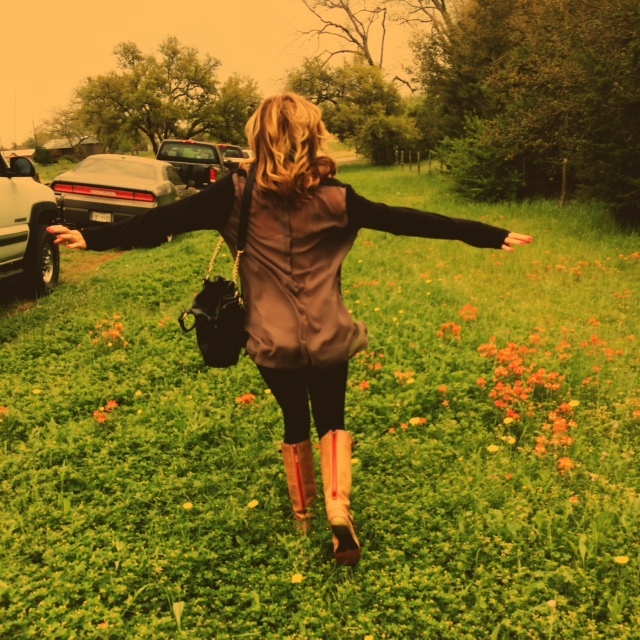 Kelly is slowly, but surely, becoming a Texan…I’m glad I’m here to help. 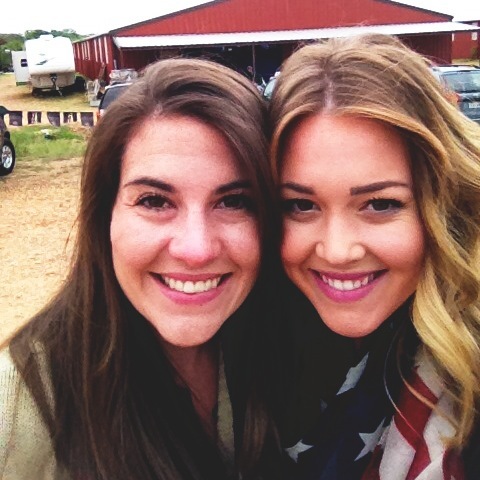 Mark another successful junkin’ weekend in the books, y’all. Watch out for the Fall edition coming at you in October.